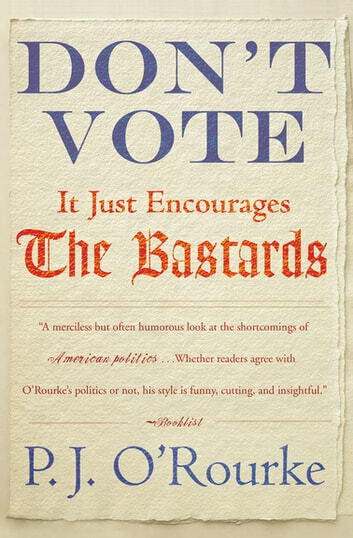 “[A] merciless but often humorous look at the shortcomings of American politics” by the #1 New York Times–bestselling author of Parliament of Whores (Booklist). 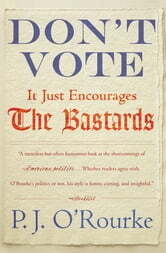 Don’t Vote: It Just Encourages the Bastards is a brilliant, disturbing, hilarious, and sobering look at why politics and politicians are a necessary evil—but only just barely necessary. Read P. J. O’Rourke on the pathetic nature of our attempts to govern ourselves and laugh through your tears or—what the hell—just laugh.